We'd be lost if we ever left the house without our arsenal of mobile tech gear, but we're also sick of being hamstrung by gadget makers who leave out important features or micromanage what we can--and can't--do with the products we buy from them. Fortunately, you don't necessarily have to settle for the limited features that mobile tech products ship with out of the box. In the name of freedom, we've voided our warranties and set some of our favorite mobile gadgets free with these six fairly simple hacks. You can, too, by following along with our step-by-step instructions. 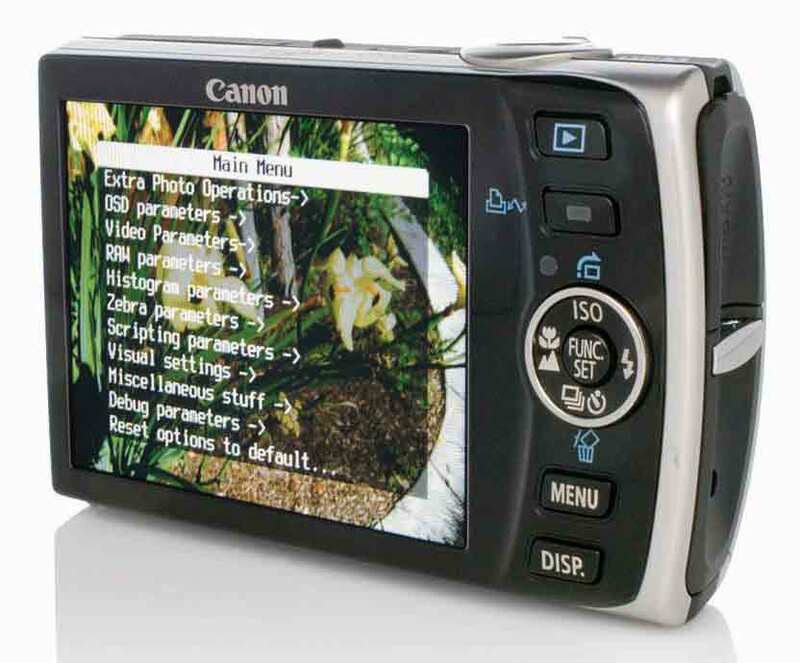 CHDK can add tons of advanced features to your basic Canon point-and-shoot camera. Unless your work requires a maximum of megapixels, the most meaningful differences between your old camera and a new one have less to do with image resolution and more to do with the camera's features. Newer cameras and more-expensive models support the RAW format, let you set manual exposure times, shoot in burst mode, and perform other tricks--but with a simple firmware hack, you can add the same capabilities to older models that don't support them. This hack works with many Canon point-and-shoot units. Intermediate and advanced photographers will grow into the high-end extras it provides, but even beginners will appreciate its quantitative battery meter and other features. A camera's firmware usually governs all of its settings, but in this hack you'll use a separate utility to install a program onto an SD Card and override your model's basic features. Canon does not support this sort of hacking; it isn't permanent, however, as the camera will fall back to its original state when you remove the SD Card. Before you get started, check the list at the CHDK Web site to see whether your camera is compatible. Set the camera to Play mode and turn it on. Hold the Func Set button, and press the Disp. button. A window should identify your firmware; look for a number with a letter following it. For instance, my Canon SD870 IS displayed 'Firmware Ver GM1.00C'. With that information, you can identify the correct CHDK software for your camera. Download and run Card Tricks, and insert an SD Card into a card reader connected to your PC. Within Card Tricks, click the SD icon, and select your card. Be sure to verify that the card size listed is the same as your memory card's, not a hard drive's or other device's. Click Format as FAT. Click Make Bootable, and choose Download CHDK. A Web page should open, and it should prompt you to select your camera's model and firmware version. Save the zipped file to your PC's desktop without extracting it. In Card Tricks, choose CHDK?Card and select the firmware file. The software will transfer the file to the card without unzipping it. Afterward, remove the card, slide the physical lock switch on it away from the metal connector, and pop it into your camera. (You'll still be able to record images.) When you turn on the camera, you should see a brief splash screen indicating that CHDK is running. Now you can access features beyond the original specs. The basic steps above will get you started. Read my more-thorough tutorial for additional tips and instructions on using the CHDK tools with your camera.